The idea that air pollution can hurt developing fetuses in the womb is not controversial. But new preliminary research presented this week seems to provide direct evidence of how this damage can happen, via the placenta. The UK researchers studied the placentas of five non-smoking women who had recently given birth to healthy children through cesarean section. Hoping to confirm that soot could move from a person’s lungs to their bloodstream and then to the placenta, they looked for a specific type of immune cell, known as a macrophage. In earlier research, the team developed a technique using a microscope to identify pollution particles, made out of carbon, inside macrophages found in the lung. Macrophages carry out lots of jobs, one of which is to swallow up dangerous foreign particles from things like bacteria and pollution. They also serve as one of the lines of defense for the fetus. When the team used the same technique on the 3,500 placental macrophages they had collected from the women, they found these black carbon particles in 60 of them. And when they looked at two placentas with a higher-powered electron microscope, they again found these particles. Each placenta, on average, had about five square micrometers of the particles. “Our results provide the first evidence that inhaled pollution particles can move from the lungs into the circulation and then to the placenta,” said Norrice Liu, a pediatrician and clinical research fellow at Queen Mary University of London, in a statement. The team’s findings were presented Sunday at the European Respiratory Society International Congress. Because the research hasn’t been formally peer reviewed and published in a journal yet, it shouldn’t be accepted uncritically. And the researchers, as even they admit, still didn’t show any direct harm caused by these pollution particles. But the chances of harm aren’t exactly in dispute. Plenty of studies elsewhere have shown that air pollution exposure in developing fetuses is linked to all sorts of health problems later on in life, including low birth weight, autism spectrum disorder, and obesity. 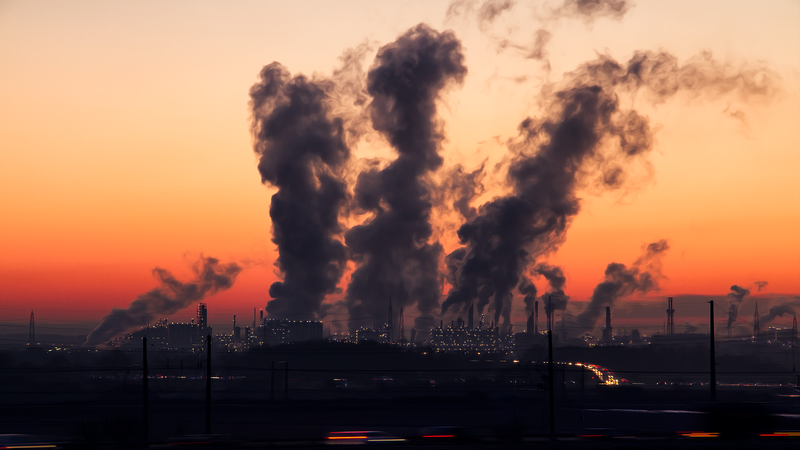 While these studies emphasize the need to drastically clean up our air for the sake of our health, as well as the health of future generations, it’s unlikely any such efforts will get far in the U.S., at least under the current administration. In August, the Environmental Protection Agency openly admitted that its new proposed emission guidelines, which would roll back regulations for coal plants, would likely kill as many as 1,400 people annually by 2030.